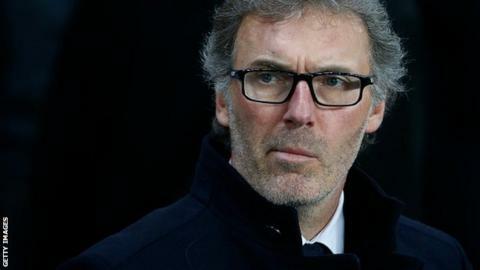 Paris St-Germain coach Laurent Blanc has signed a contract extension, committing him to the club until 2018. The ex-France defender took over from Carlo Ancelotti in June 2013, leading them to two league titles, including last season's domestic treble. PSG are 24 points clear at the top of Ligue 1, unbeaten domestically this season and face Chelsea in the Champions League last 16. "I want to thank the club for the faith they put in me," said Blanc. "There's still one competition that has eluded us - the Champions League - and it's very difficult to win. But one day, Paris St-Germain will win it."